Here on homify, we don’t just look at designs and structures that were created from scratch, such as a two-storey home built from the ground up. We also like to delve into other architectural works, such as house alterations, internal refurbishments, and home extensions. 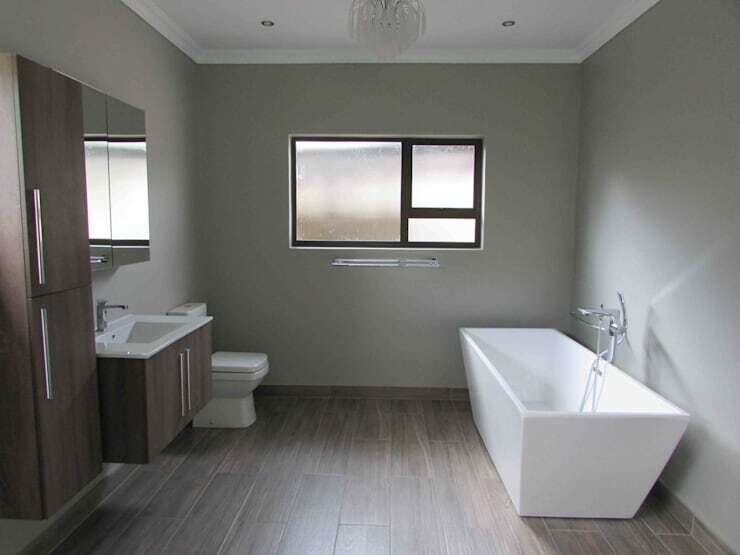 Today on homify 360°, we take a look at a South African-based house which was recently treated to some alterations, courtesy of local firm DG Construction. Let’s see what the finished product looks like. 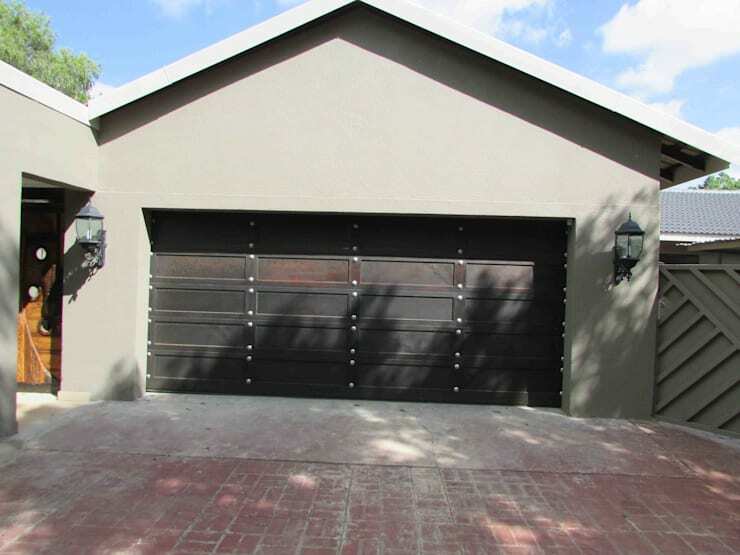 We kick off with a look at the garage façade, where a sturdy-looking door greets us. Flaunting a strong palette of dark neutrals, the house shows off its modern design and use of clever materials (wood, concrete) with pride. Select lighting elements were also added to the façade, as can be seen in our image above. 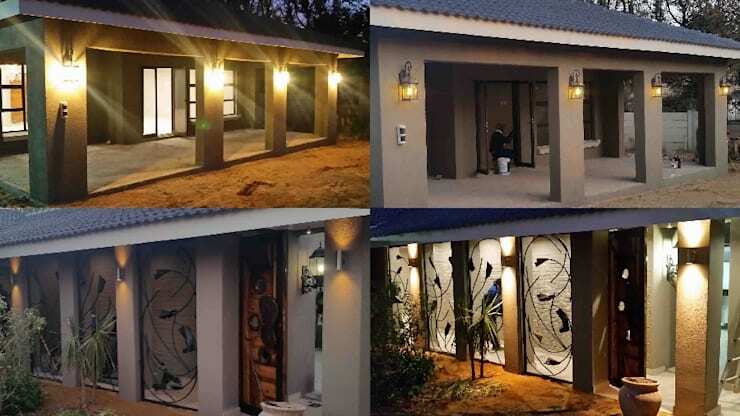 A series of wall fixtures add the necessary dazzle to the outside surfaces should the sun retire for the day. Ranging from ultra contemporary designs to more classic styles, the lights go a long way in adding not only functionality but also beauty to the house, making the structure seem much more warm, cosy, and inviting. As we all know, lighting is equally important for interior settings. 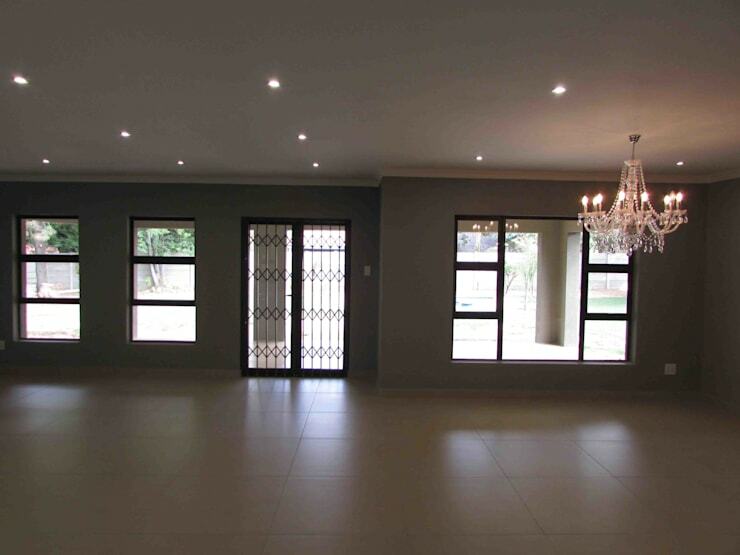 Above is the open-plan layout of the interiors which could very well function as a spacious living room / dining room. Generous windows and glass doors ensure that an adequate amount of natural light seep indoors, but we can’t overlook the sturdy dose of artificial lighting elements included, most notably that elegant chandelier adding some class and style to the interior setting. On to the kitchen, where the glitz and glamour continue beautifully. A monochrome colour palette has been chosen for the culinary space, with crisp whites and bold darks contrasting superbly with one another. Don’t forget the sleekness added via the stainless steel appliances, as well as the select glass surfaces. 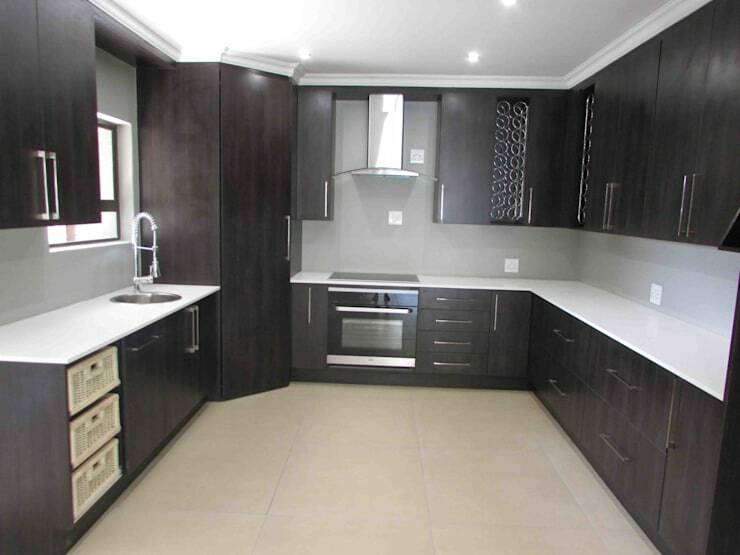 More than ample space for cooking, sufficient legroom for working and moving comfortably, and plenty of opportunities to make the most of storage are presented in here – what more could a kitchen need? The colour palette with its quiet neutrals continues into the bathroom, where we get introduced to some striking wooden floorboards. To make the most of the limited legroom (but by no means ‘small’), wall-mounted cabinets and cupboards were opted for to save up some floor space – and help out with storage, of course. Snow-white tones get introduced via the tub, sink, and toilet, while a touch of silvery metal adorn the fixtures and cabinet handles, beautifully completing the collection of neutral hues. Feel like playing interior designer? We’ll help with these: Brilliant ways to upgrade your bathroom. We love hearing from you, so share with us your thoughts on this modern house.